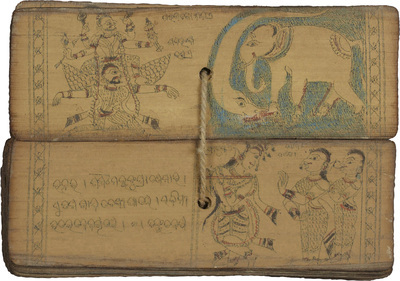 Vishnu is a popular Hindu deity and one of the three primary aspects of the divine - personified by Brahma – the creator, Vishnu – the maintainer, and Shiva – the destroyer. In the Hindu tradition Vishnu appears periodically as an avatar or incarnation to restore cosmic order. 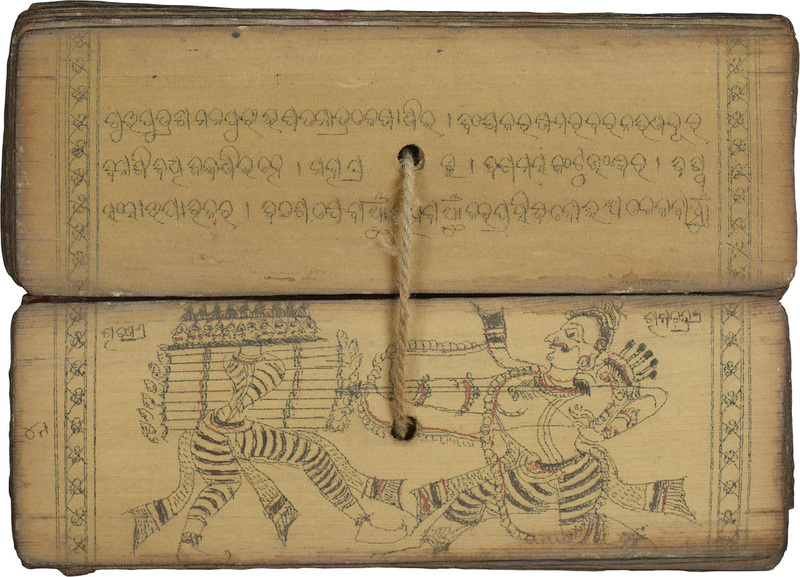 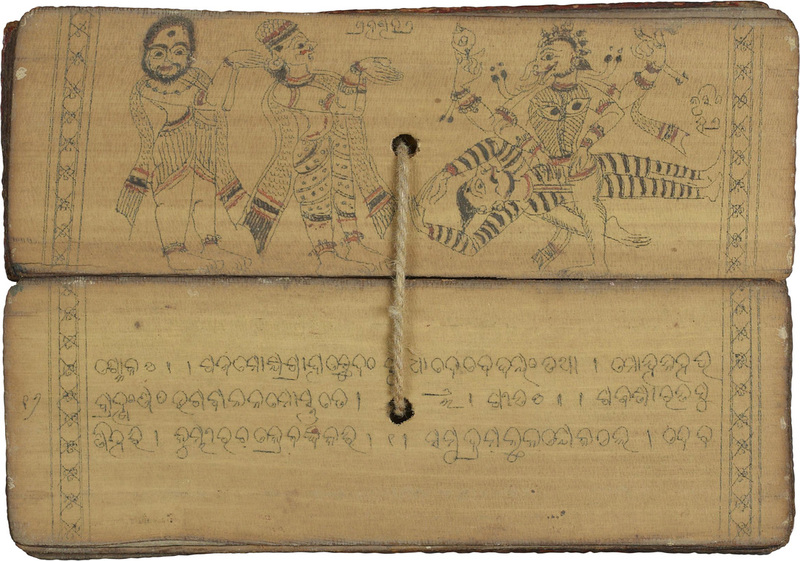 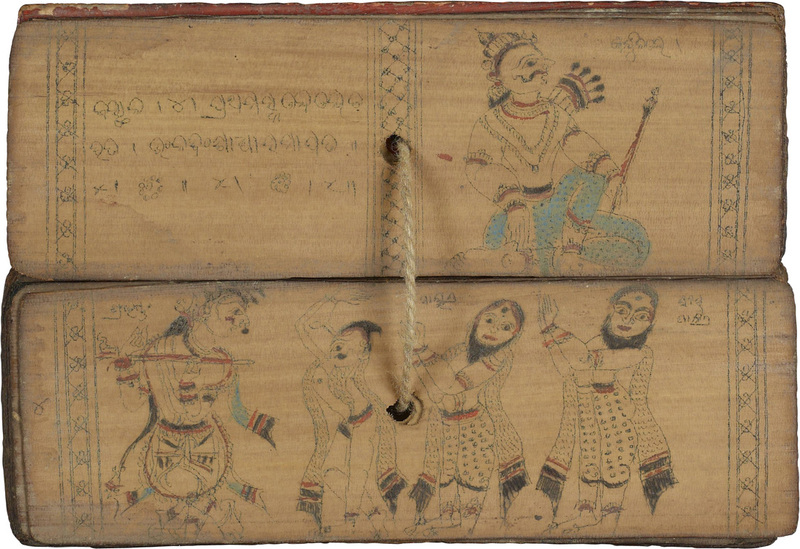 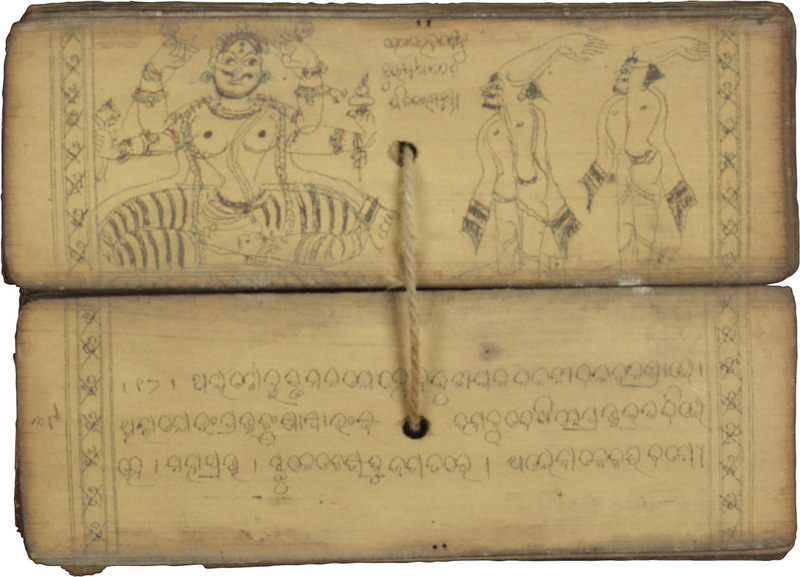 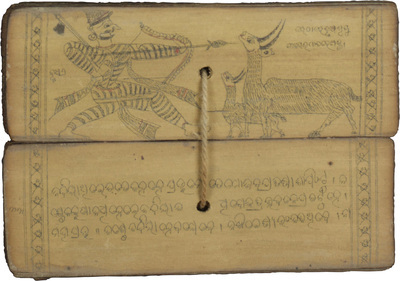 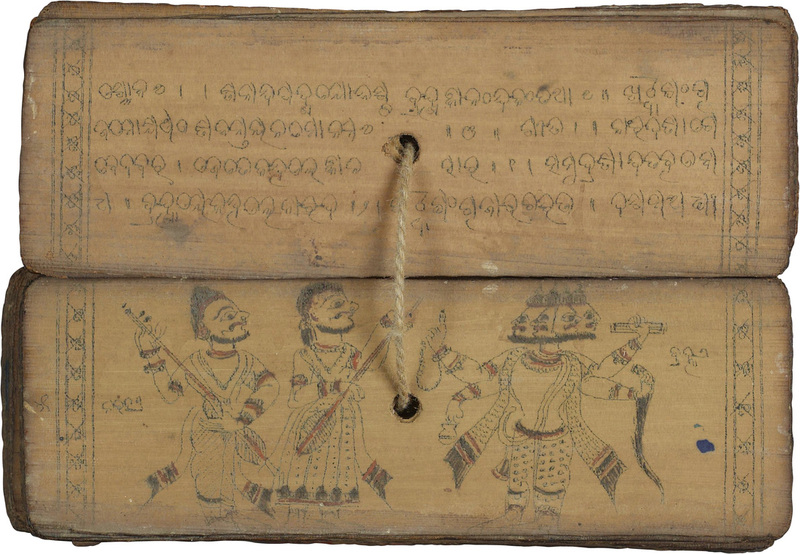 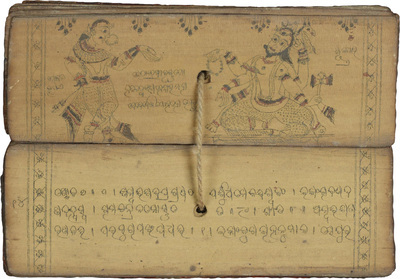 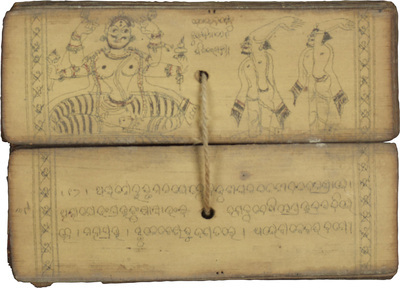 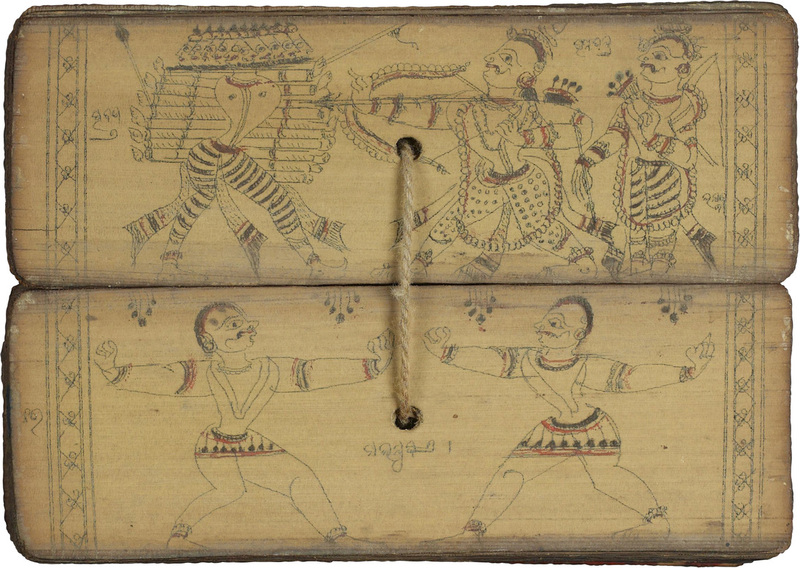 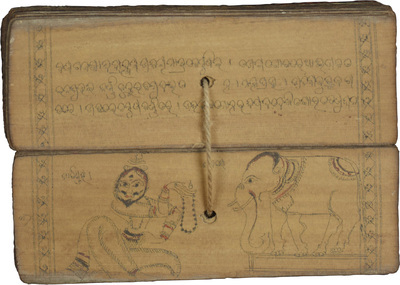 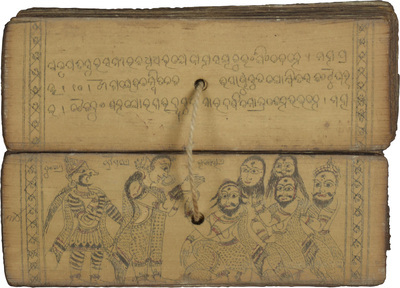 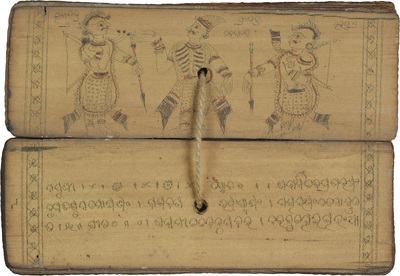 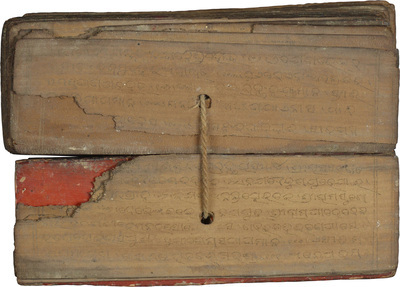 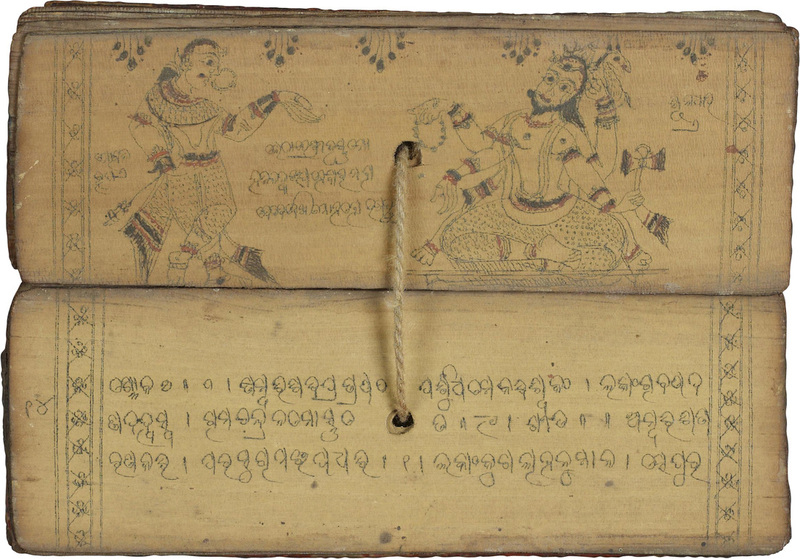 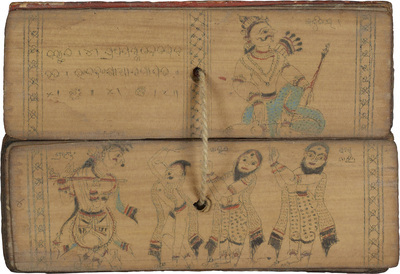 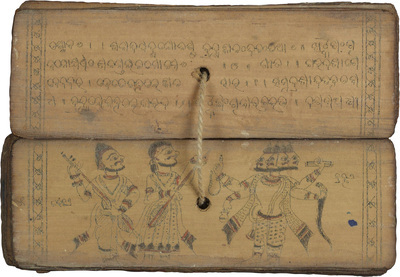 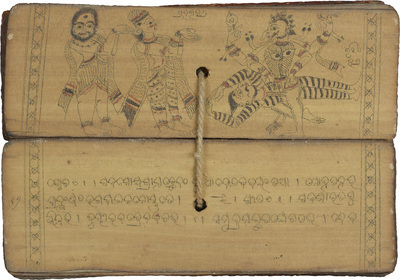 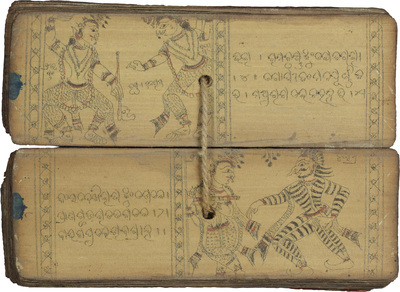 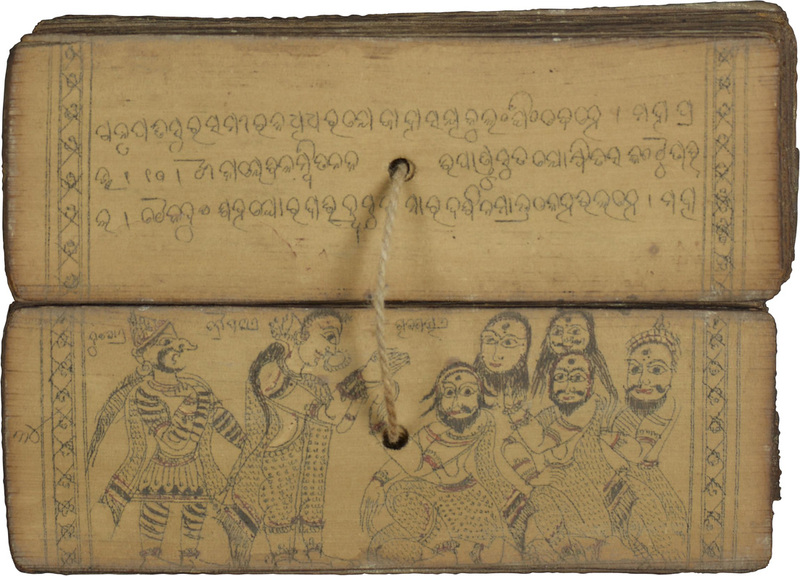 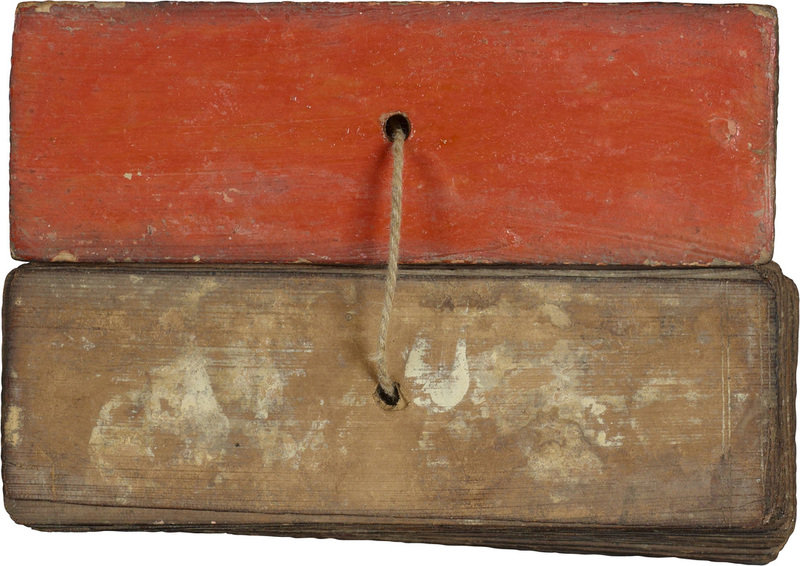 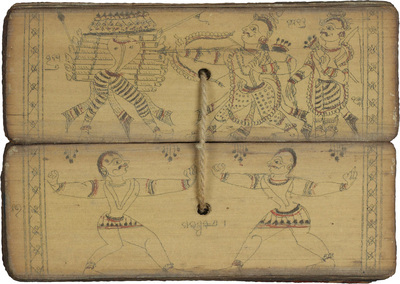 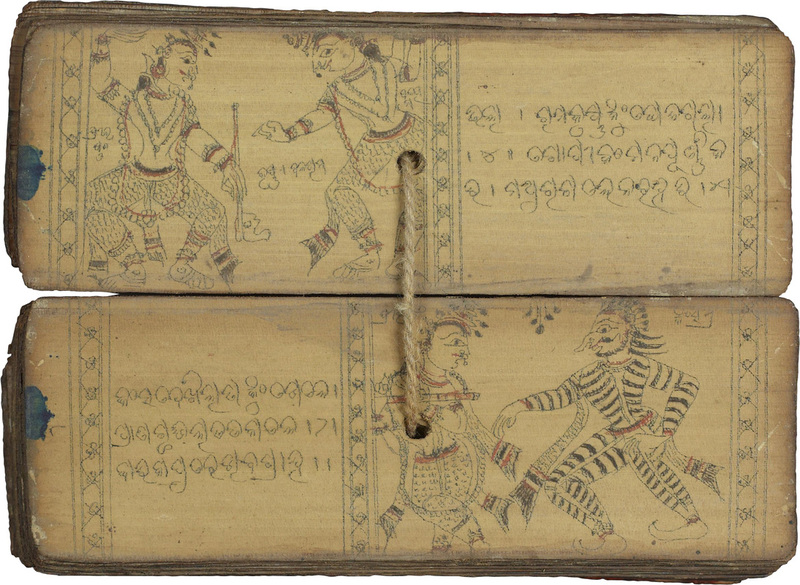 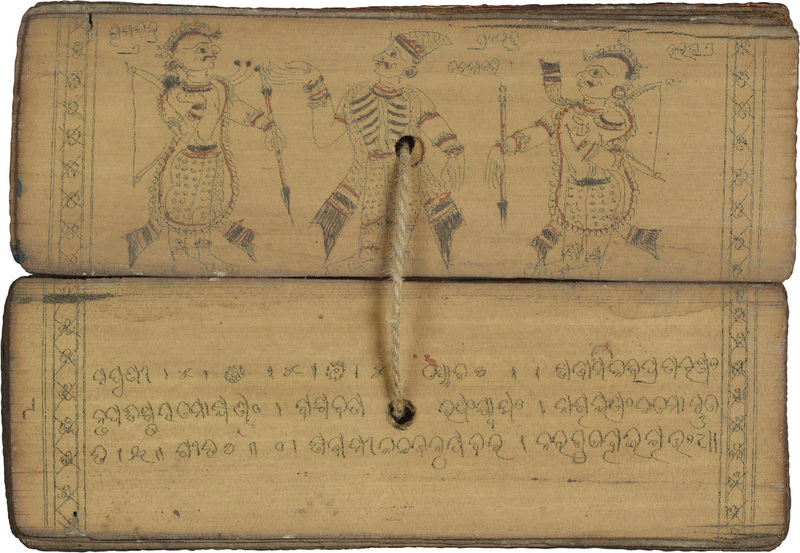 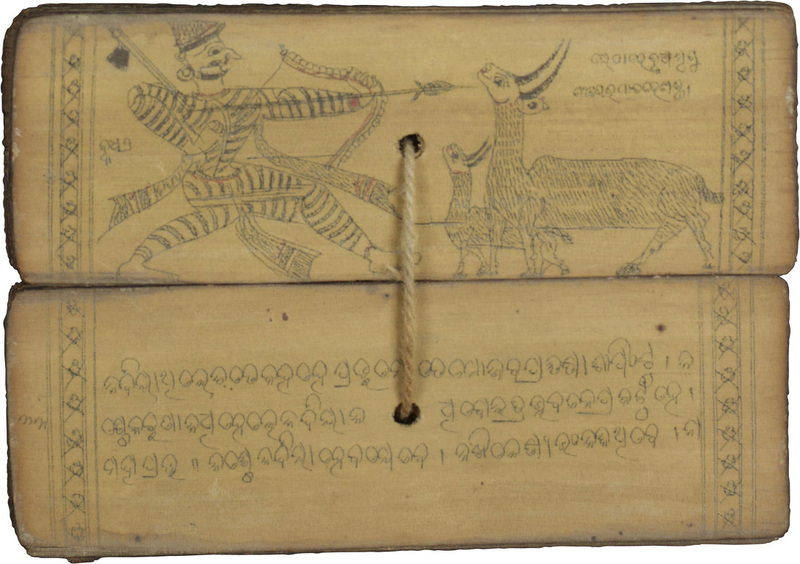 This palm leaf manuscript praises the major avatars including Krishna and Rama and focuses especially on their defeat of various demons. 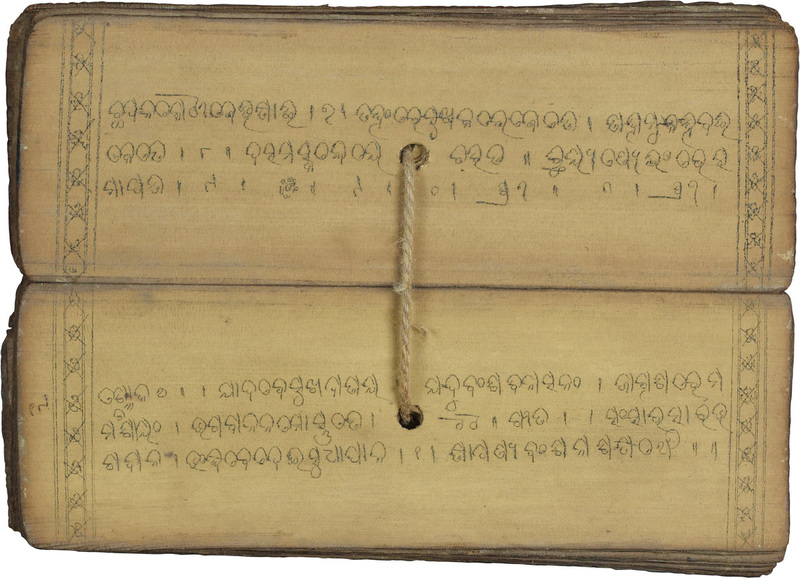 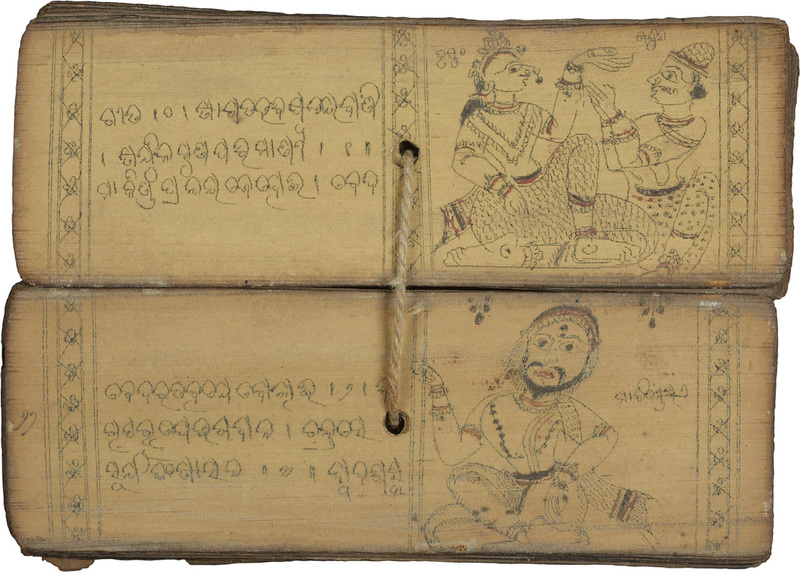 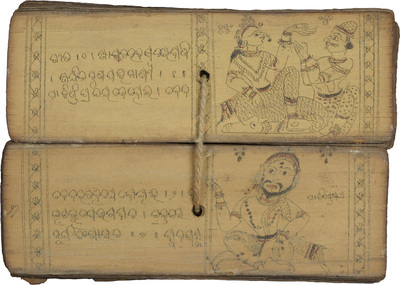 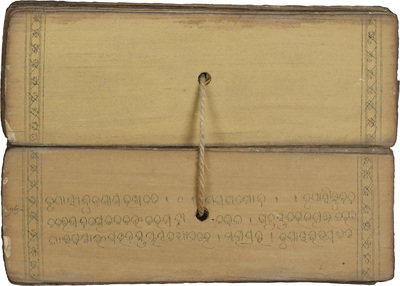 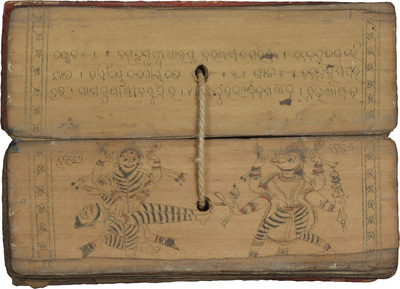 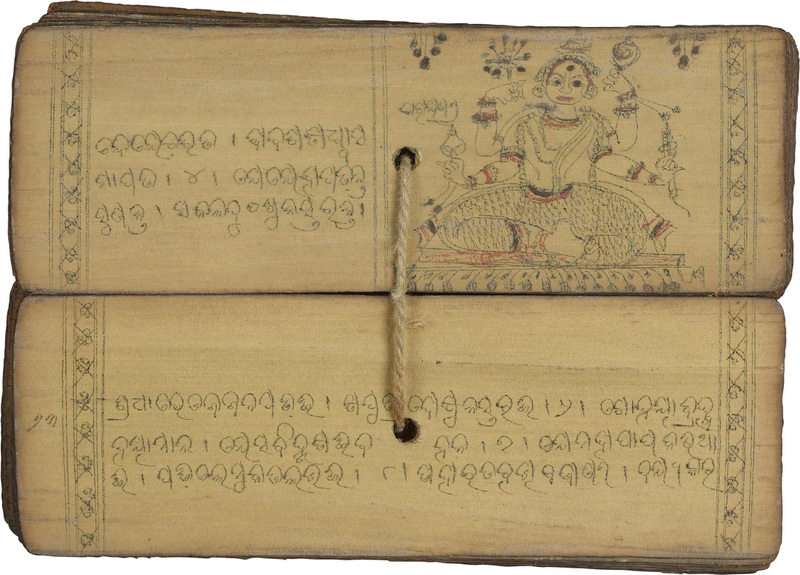 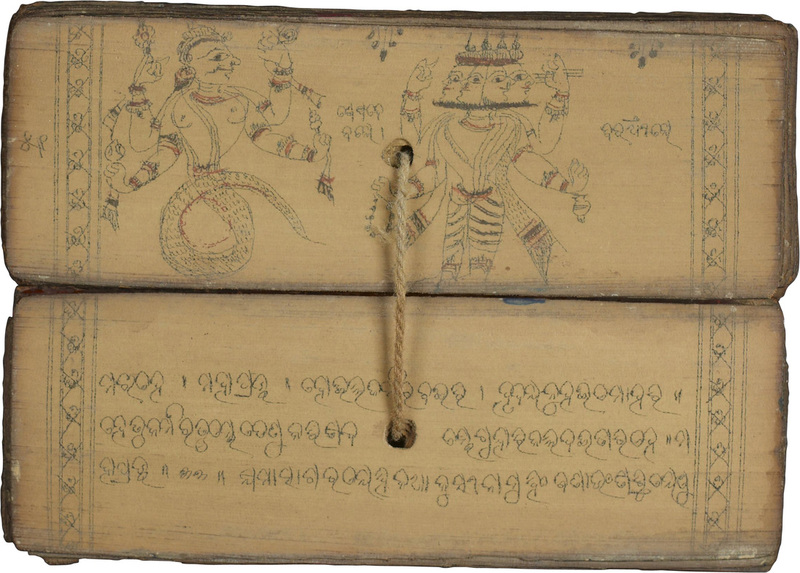 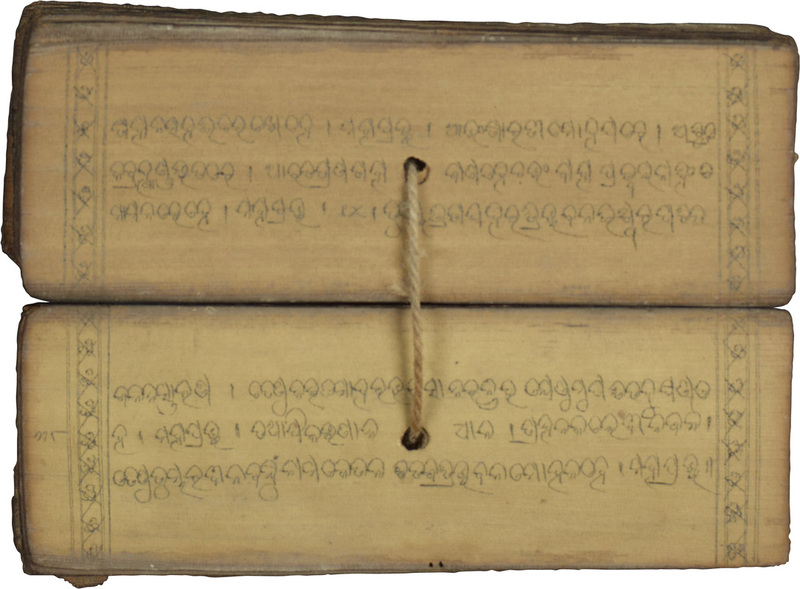 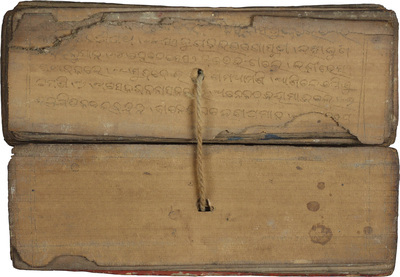 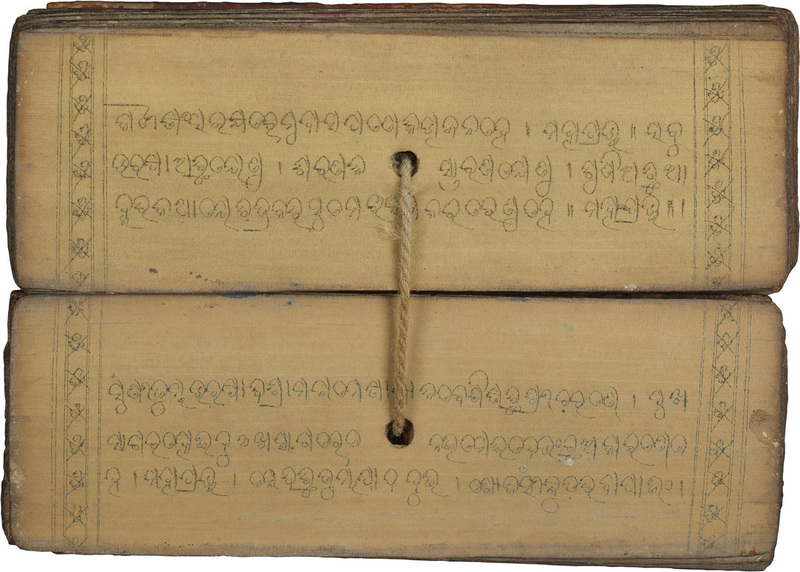 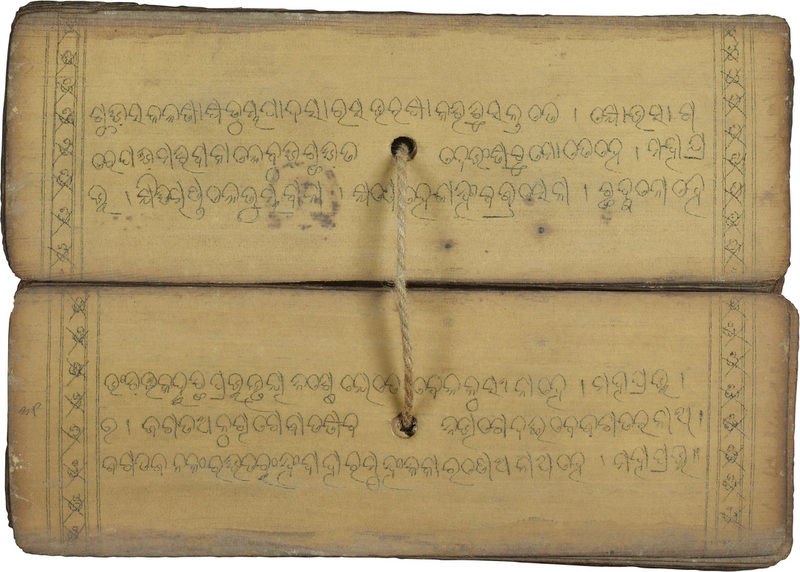 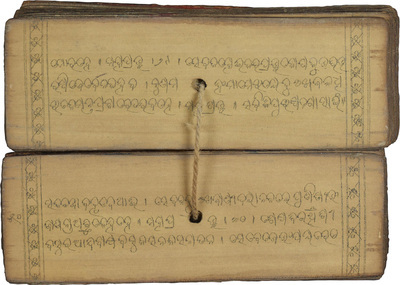 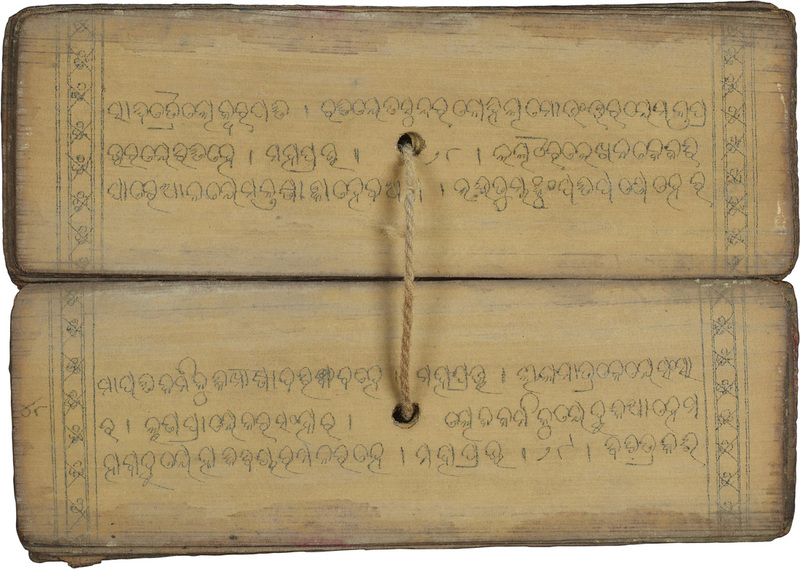 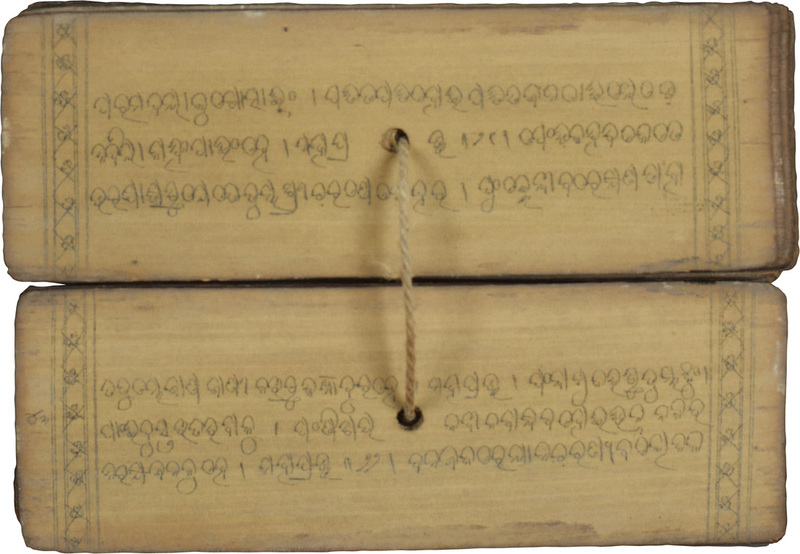 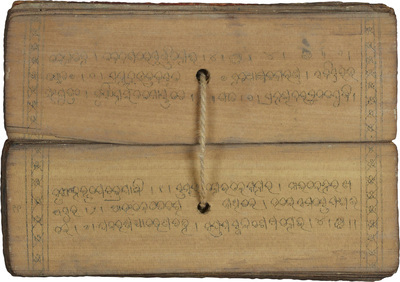 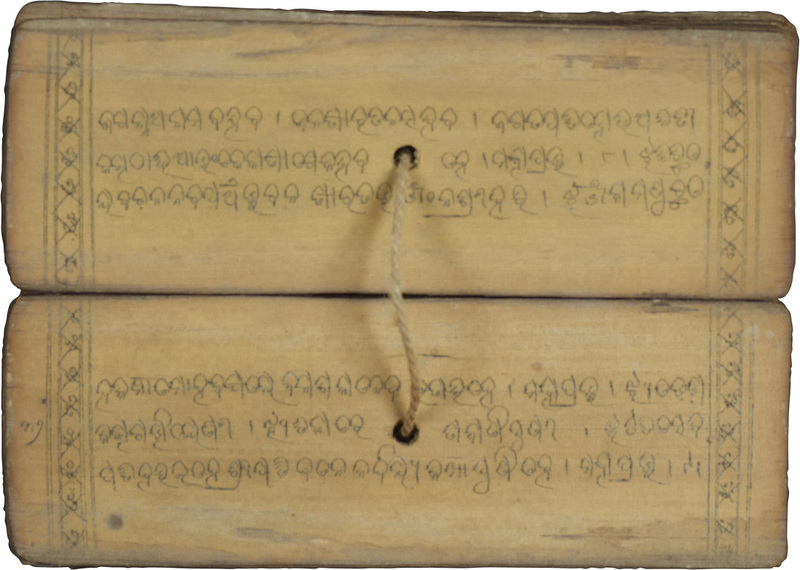 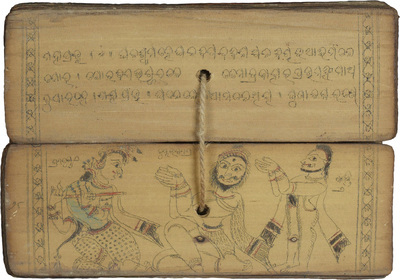 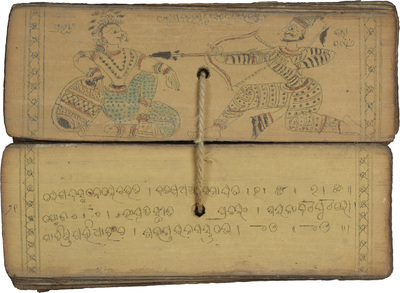 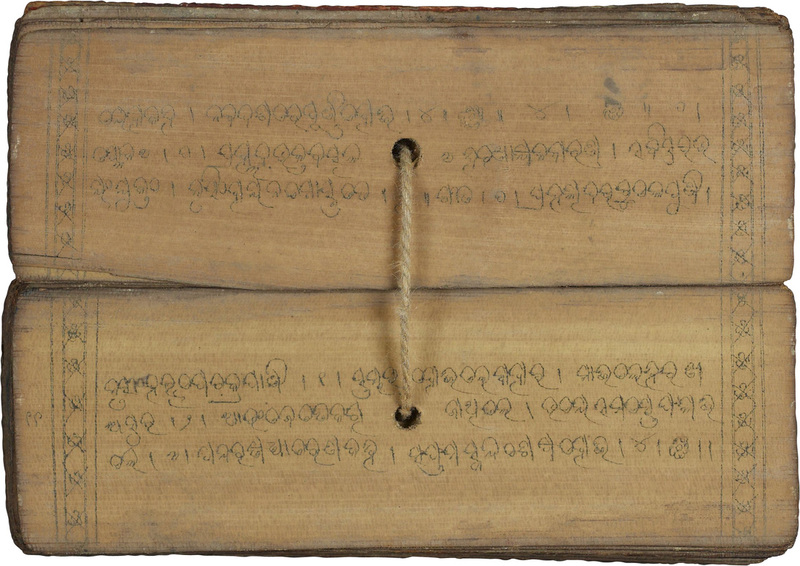 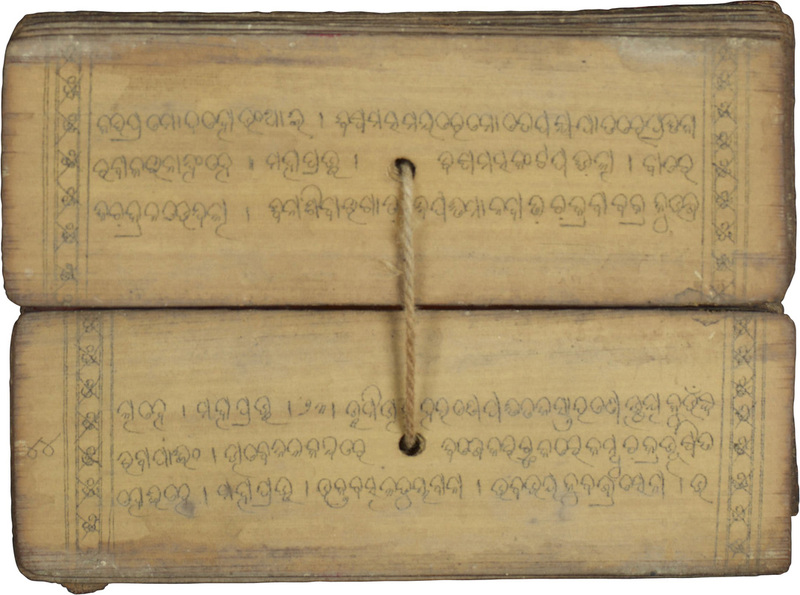 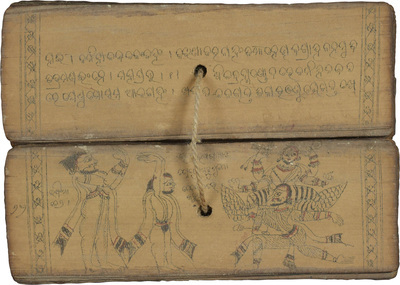 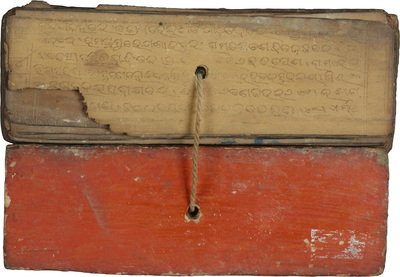 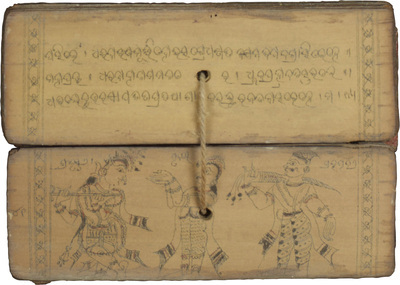 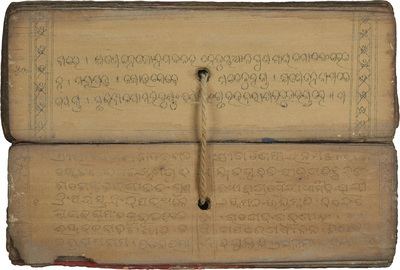 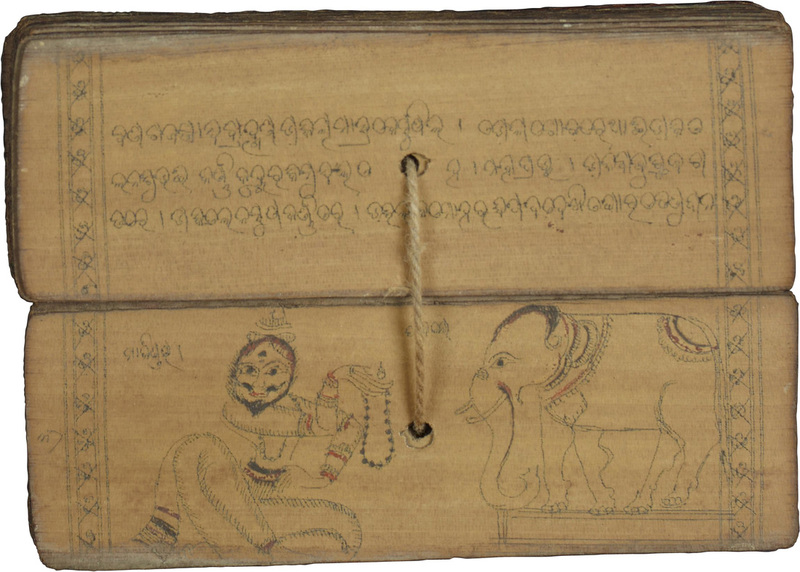 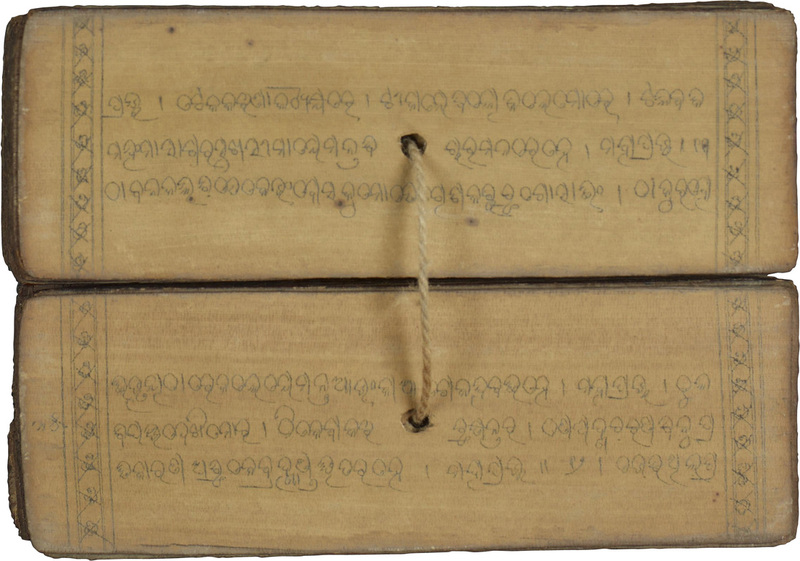 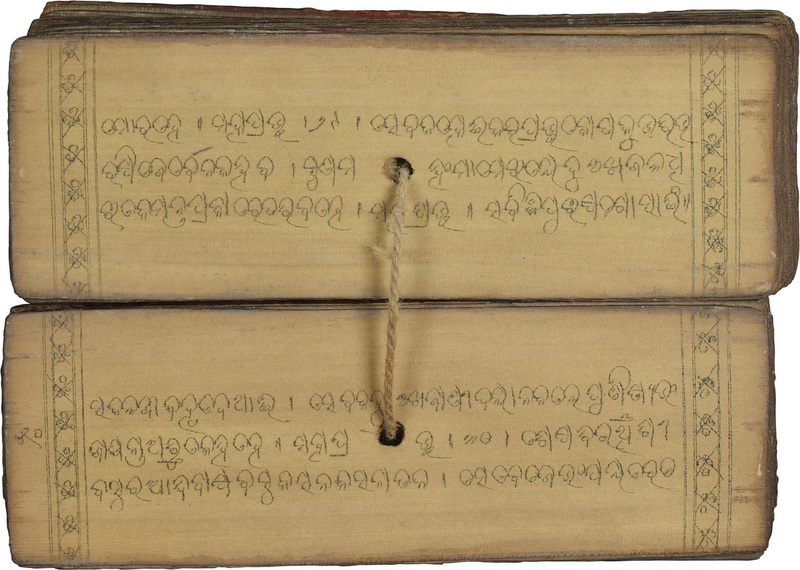 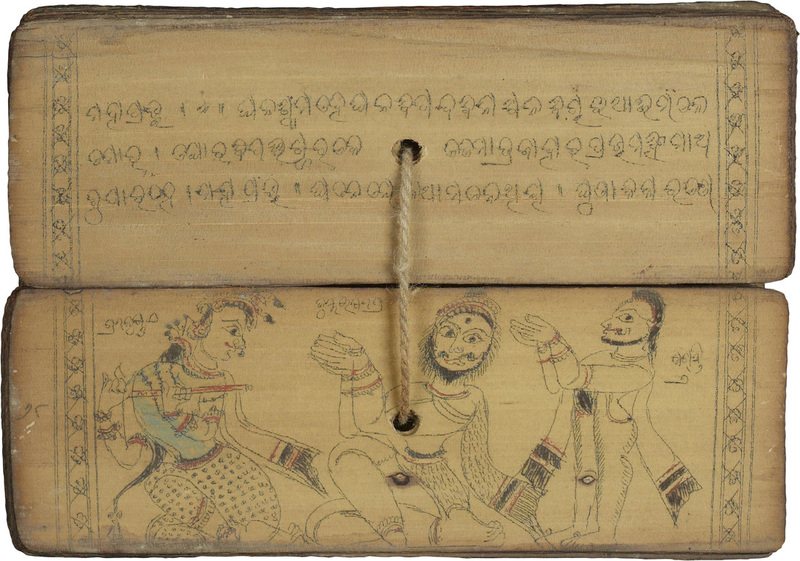 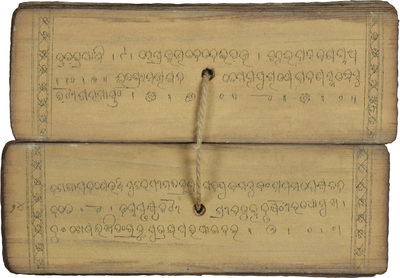 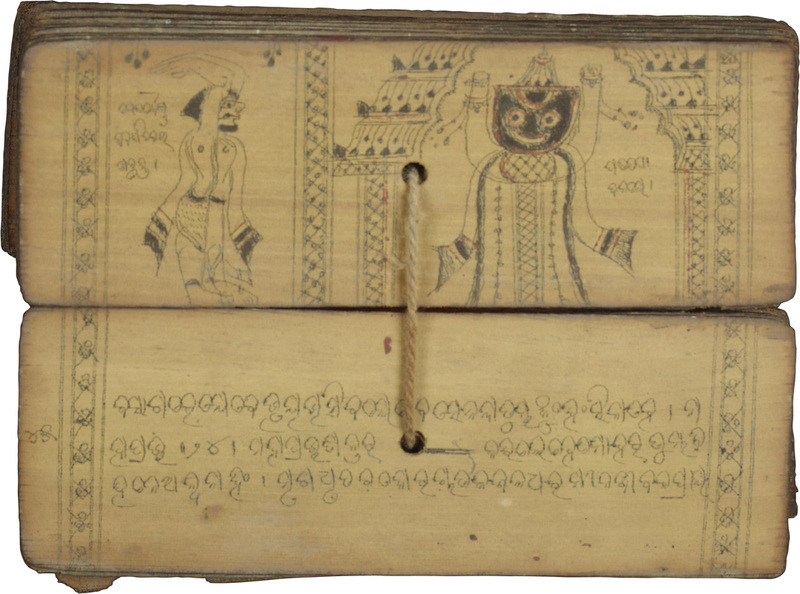 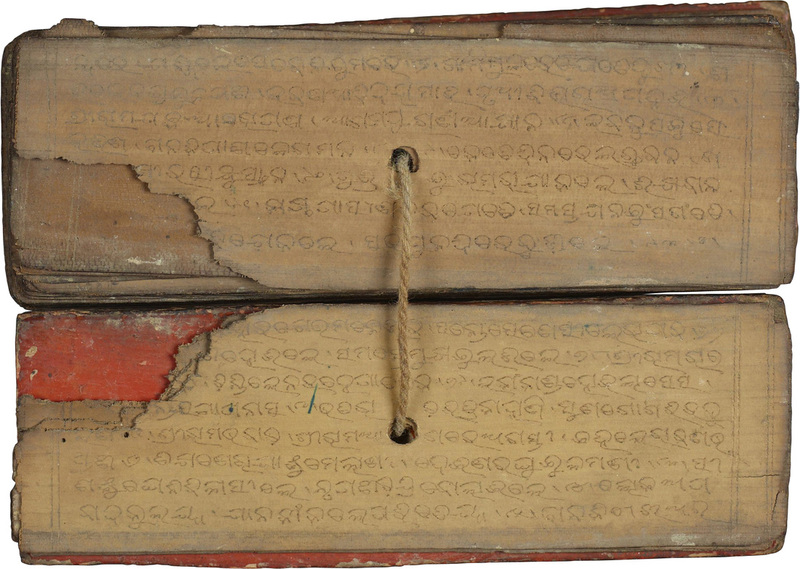 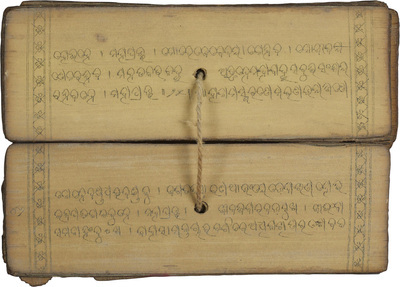 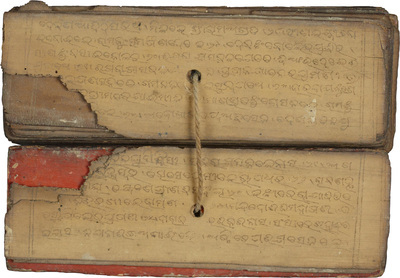 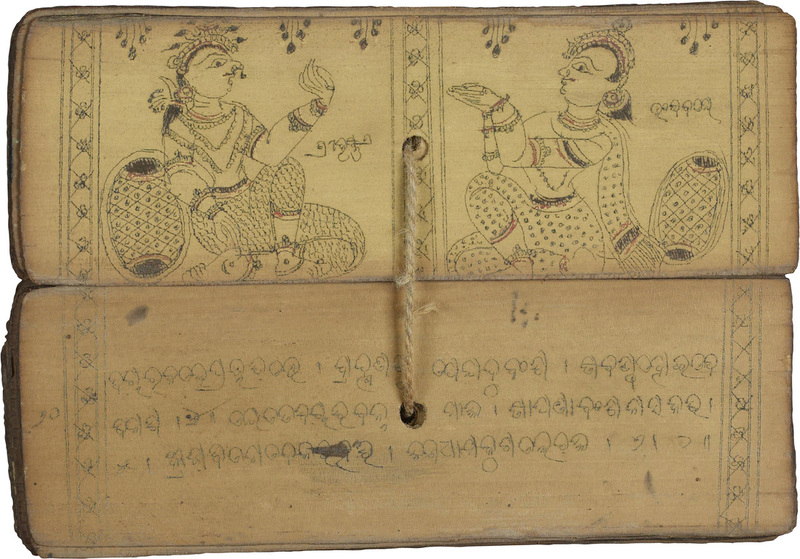 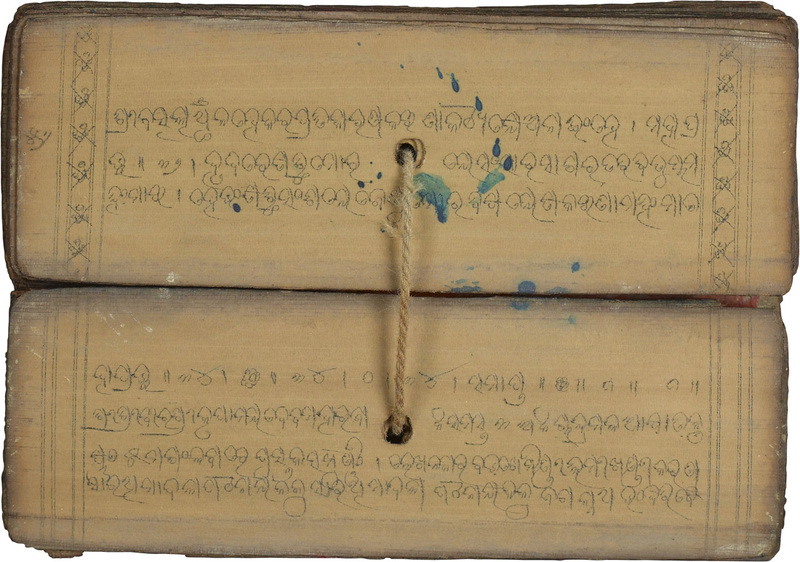 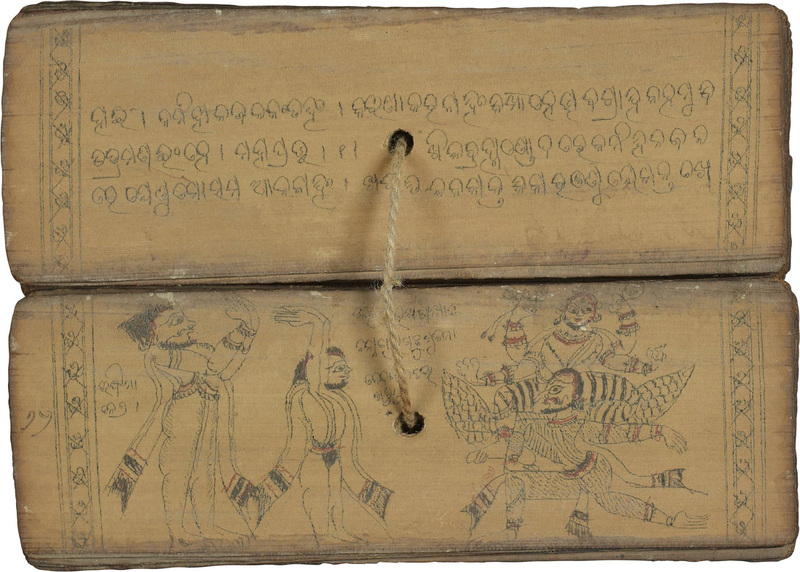 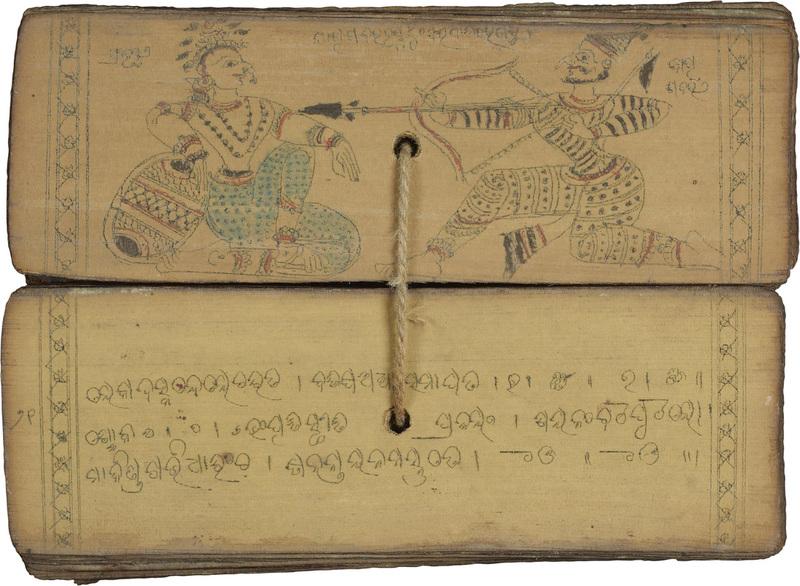 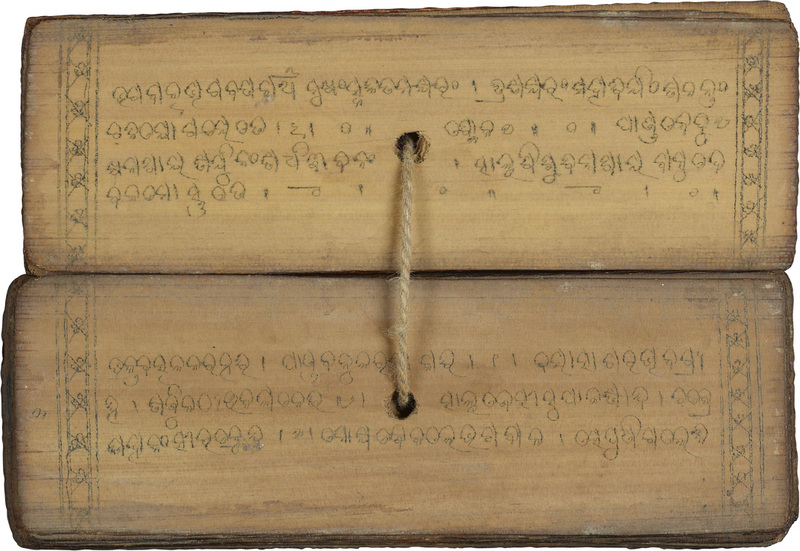 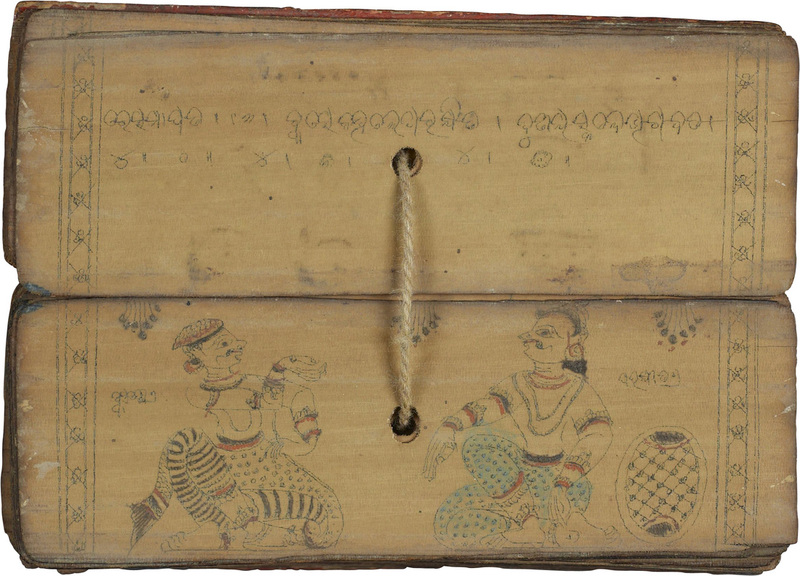 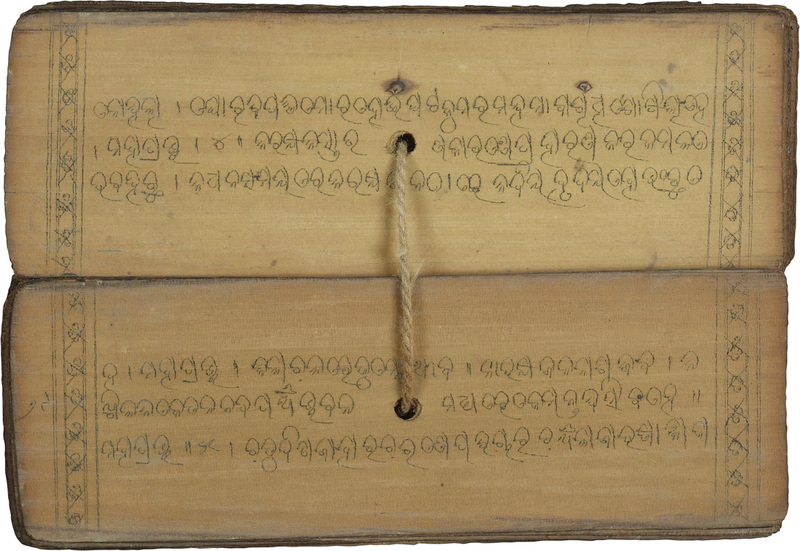 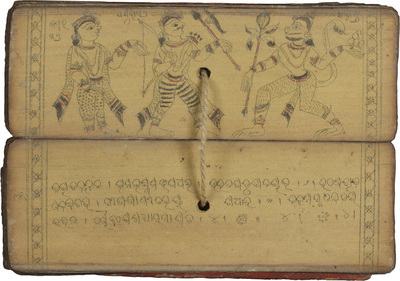 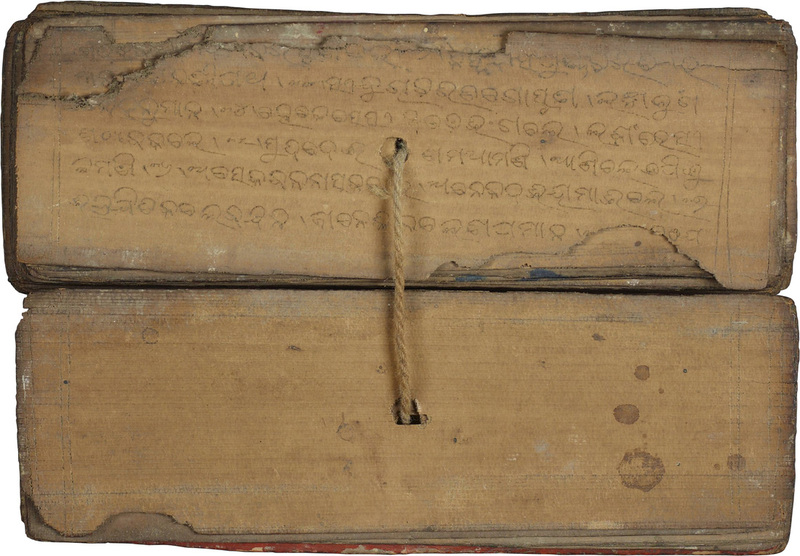 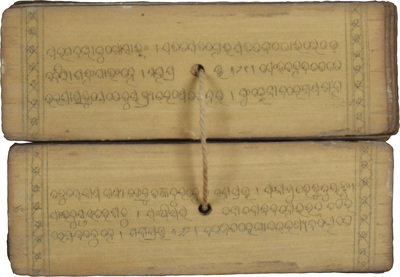 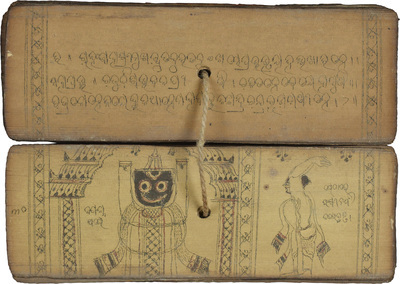 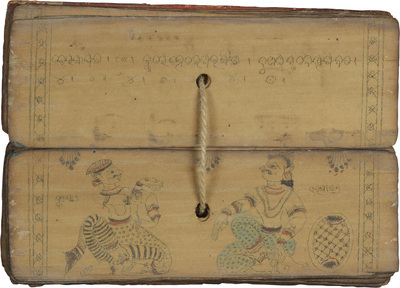 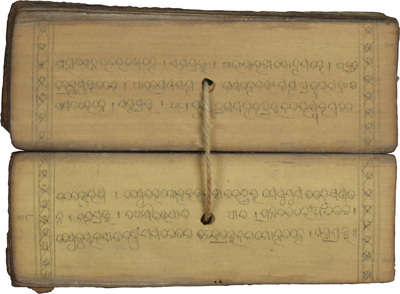 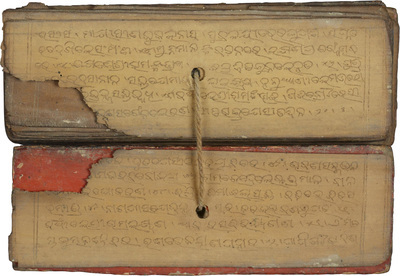 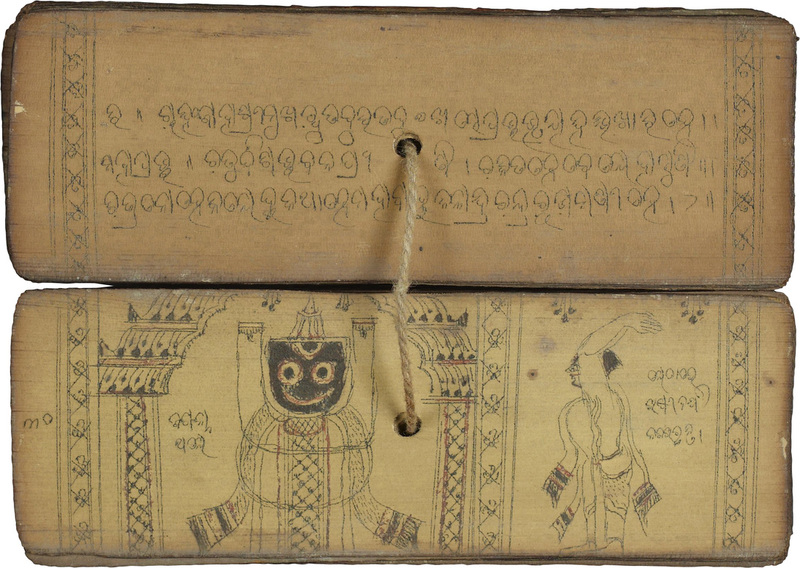 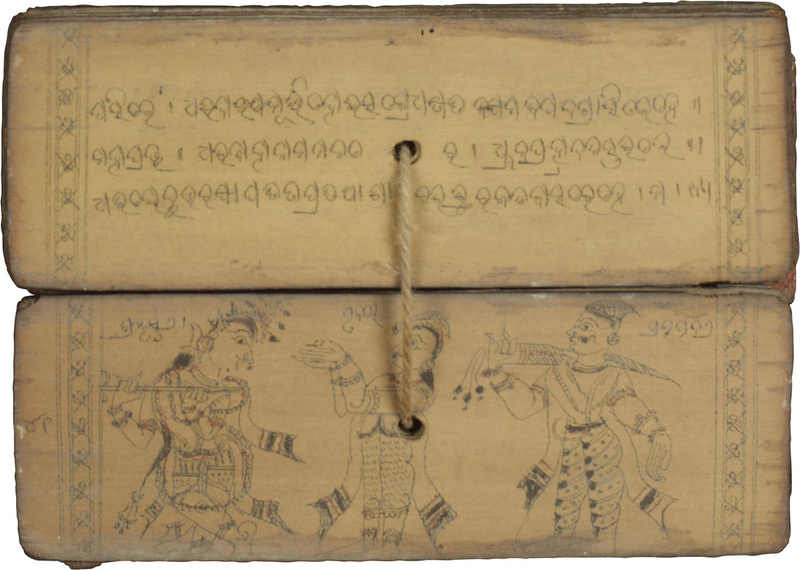 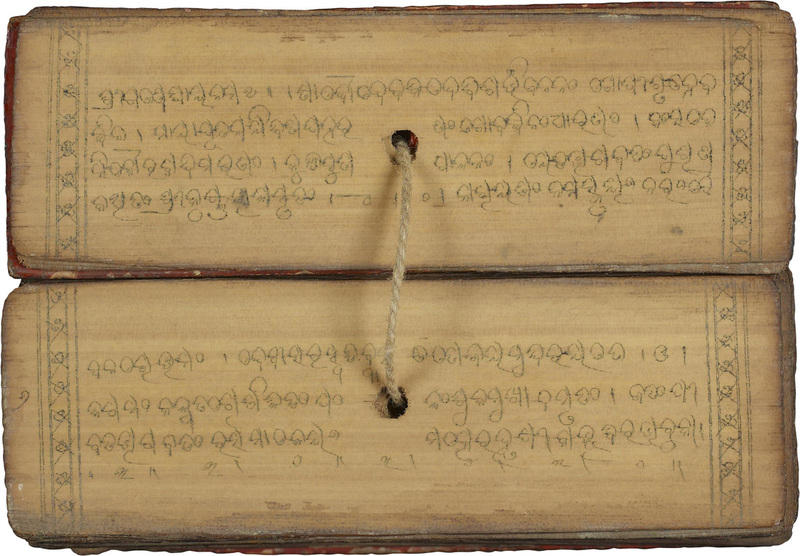 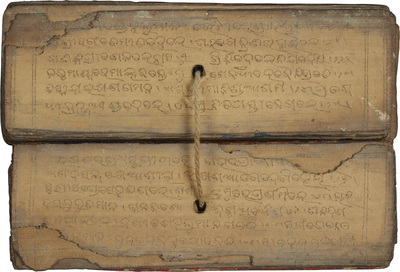 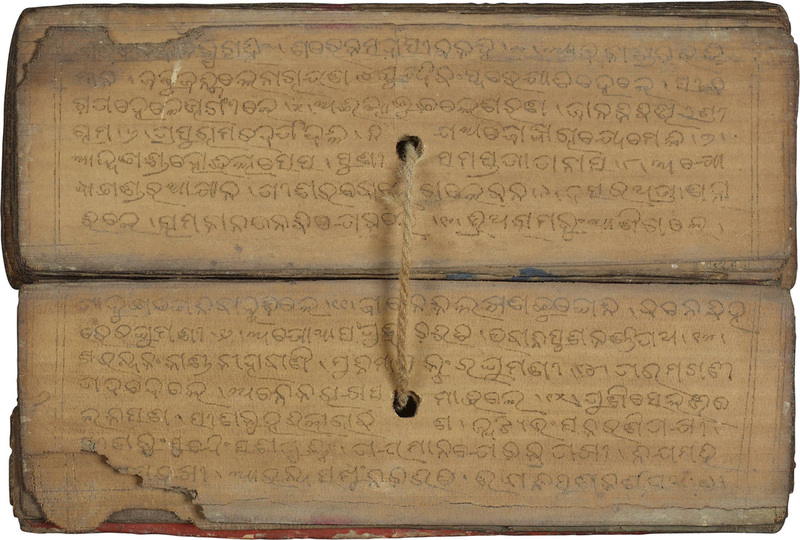 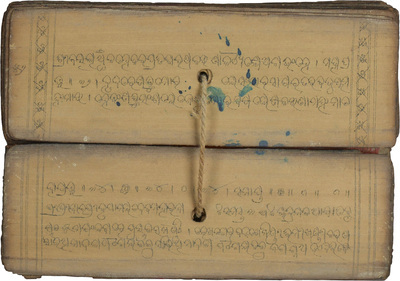 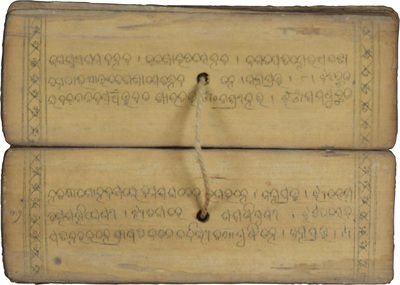 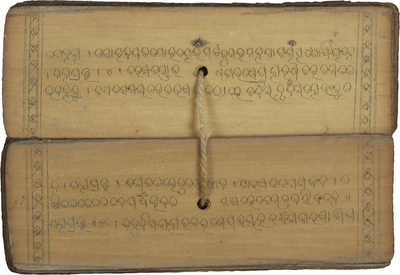 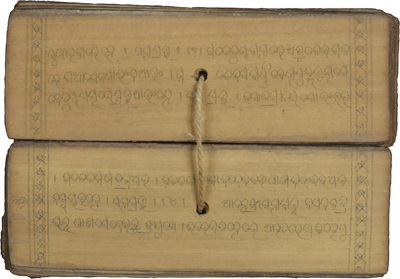 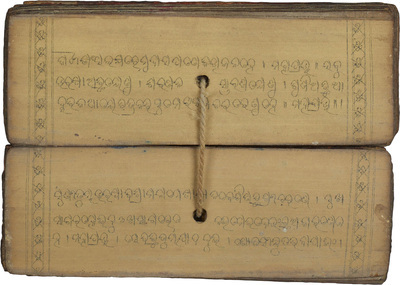 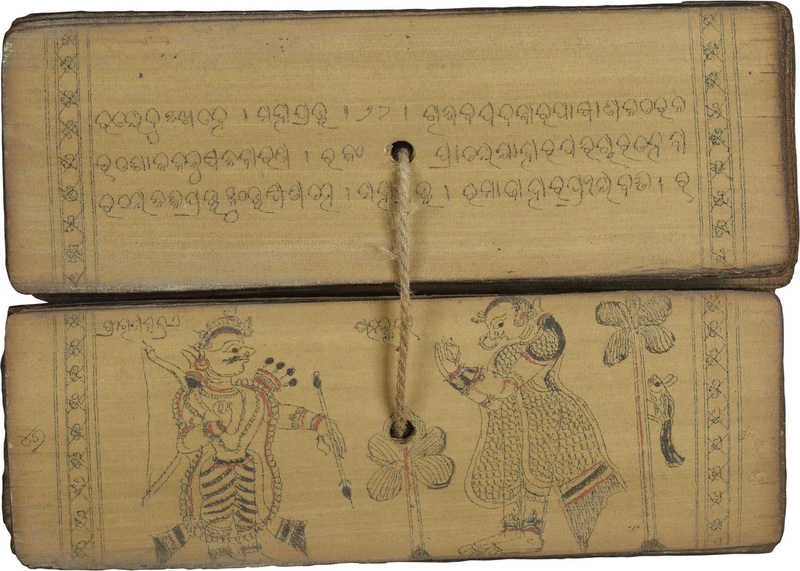 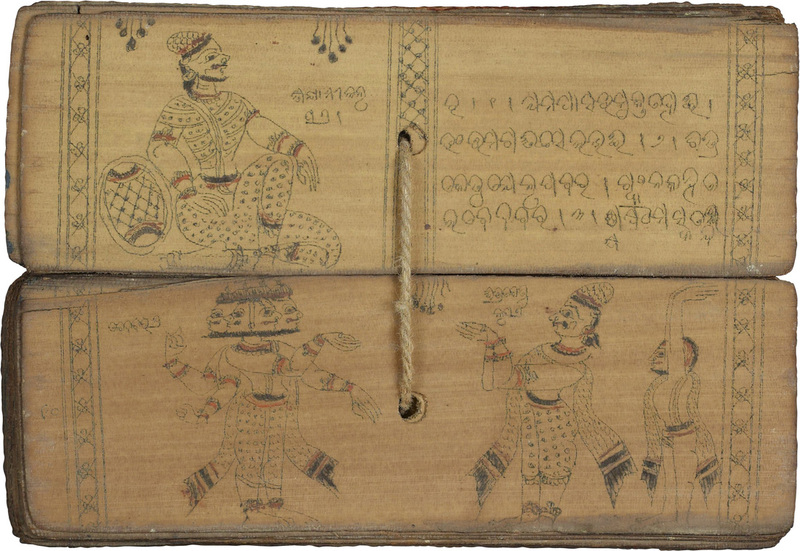 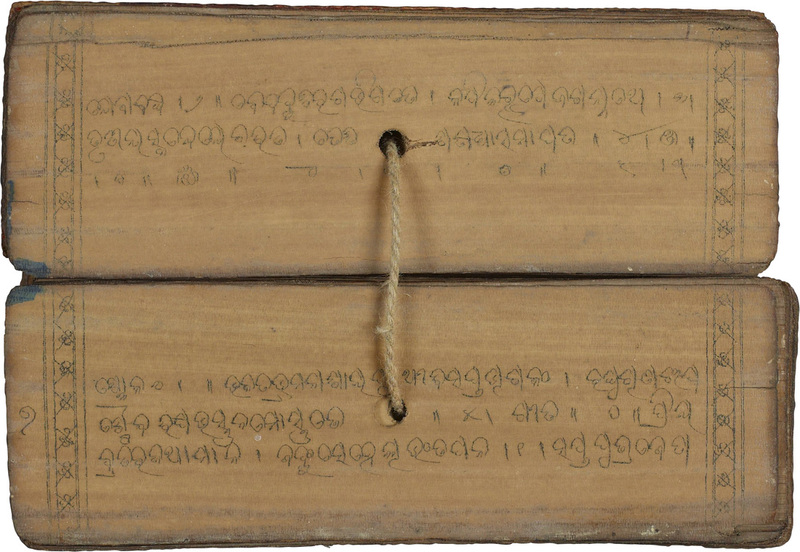 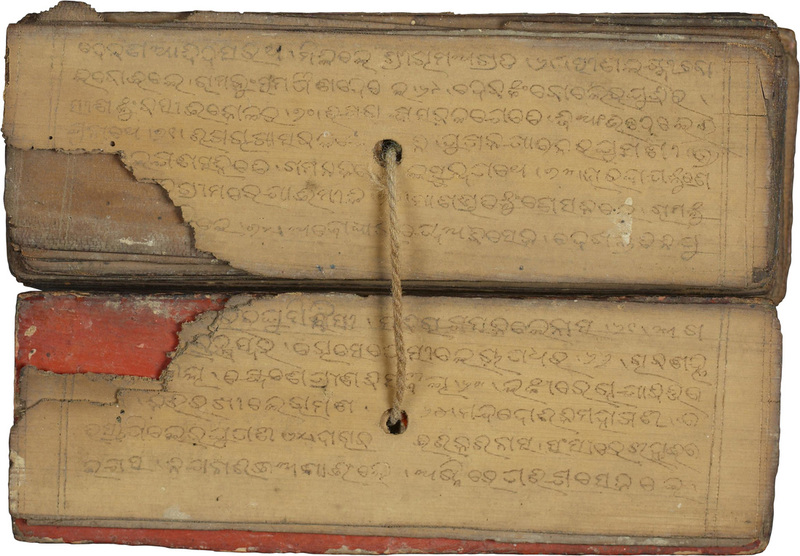 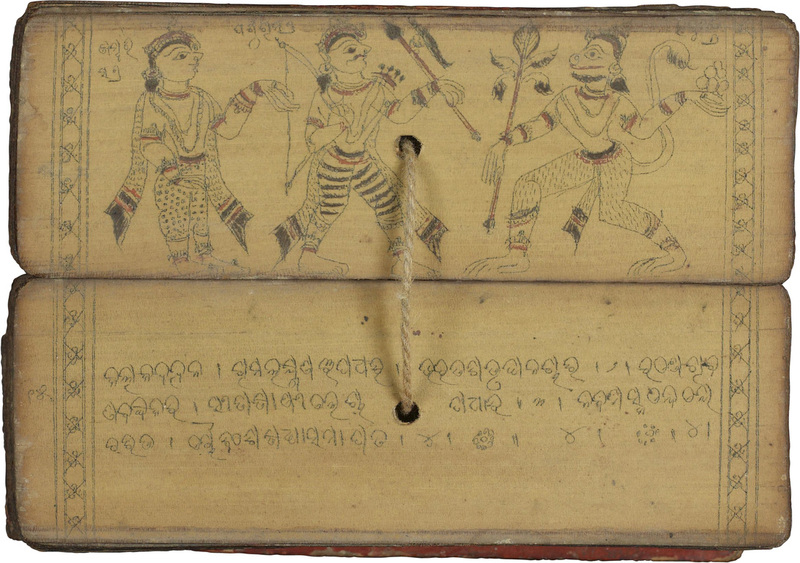 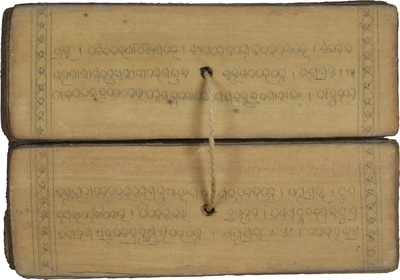 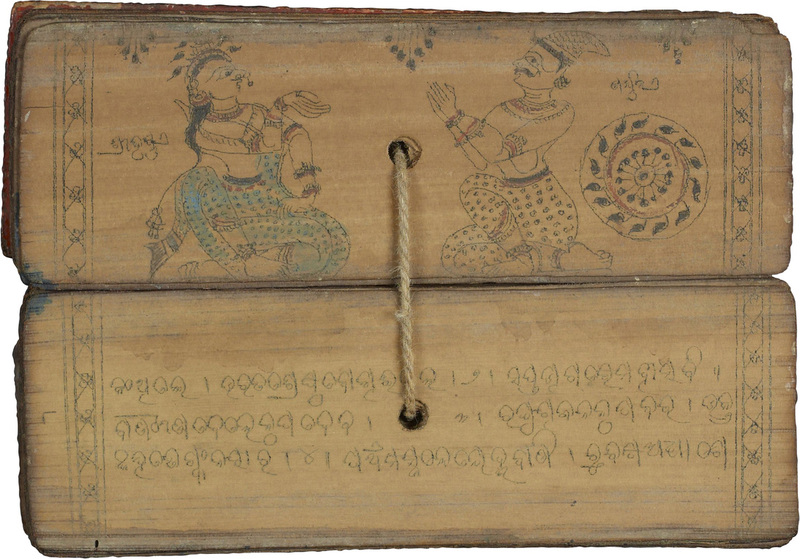 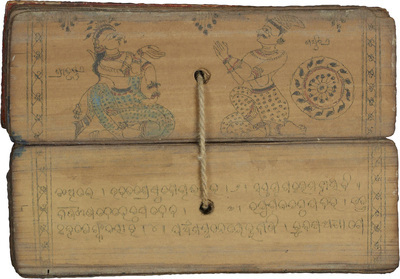 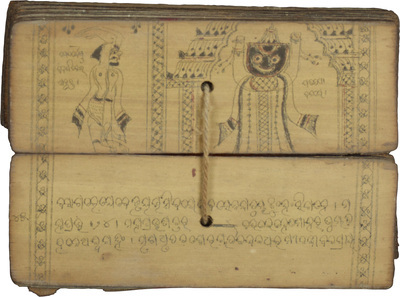 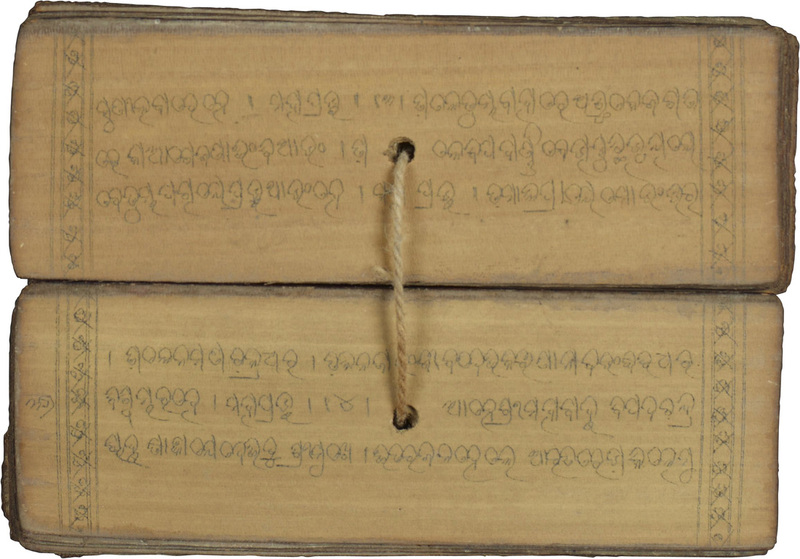 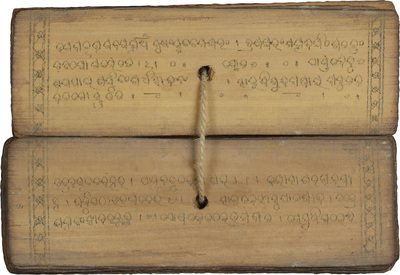 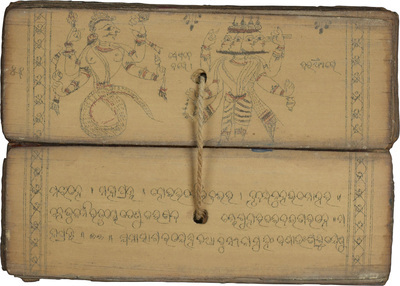 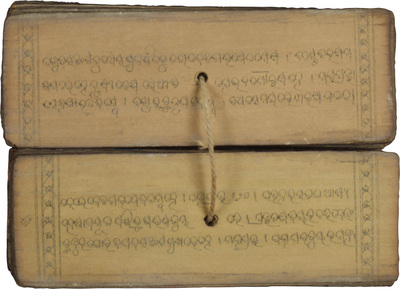 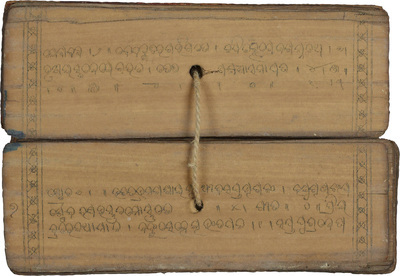 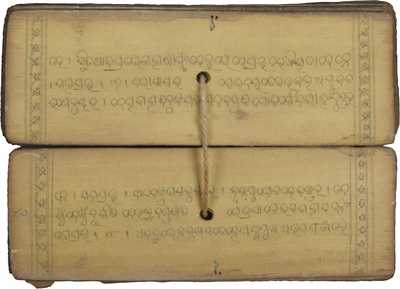 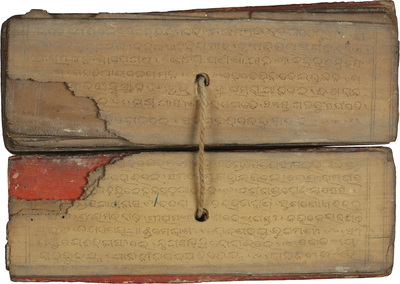 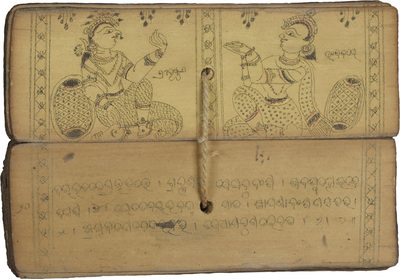 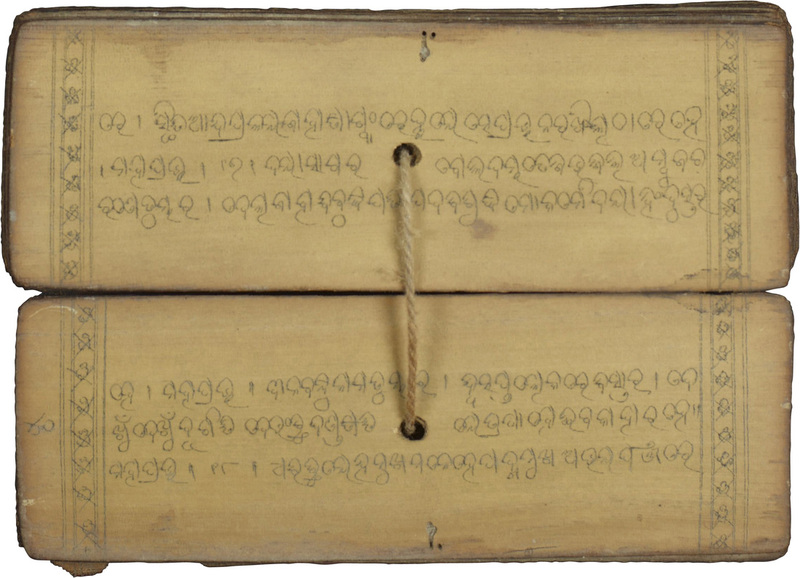 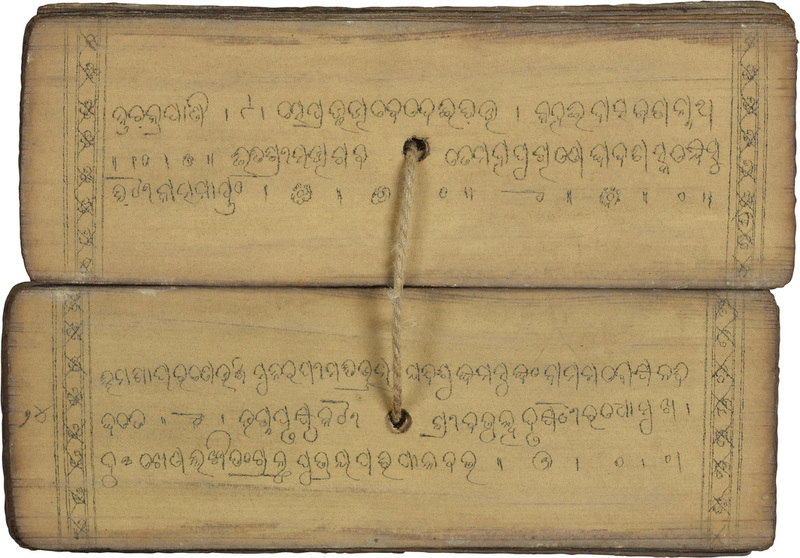 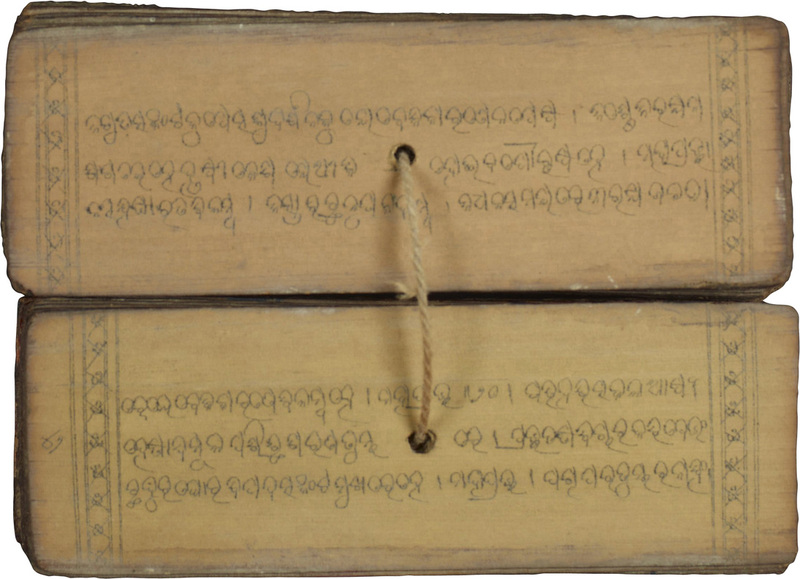 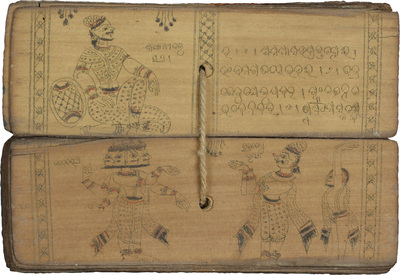 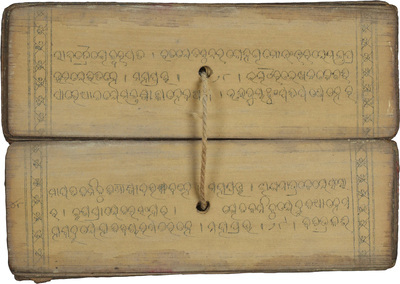 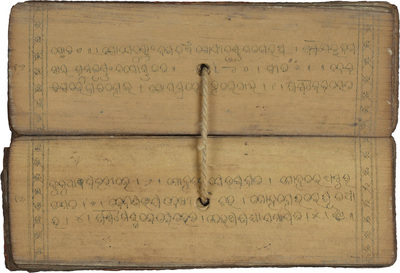 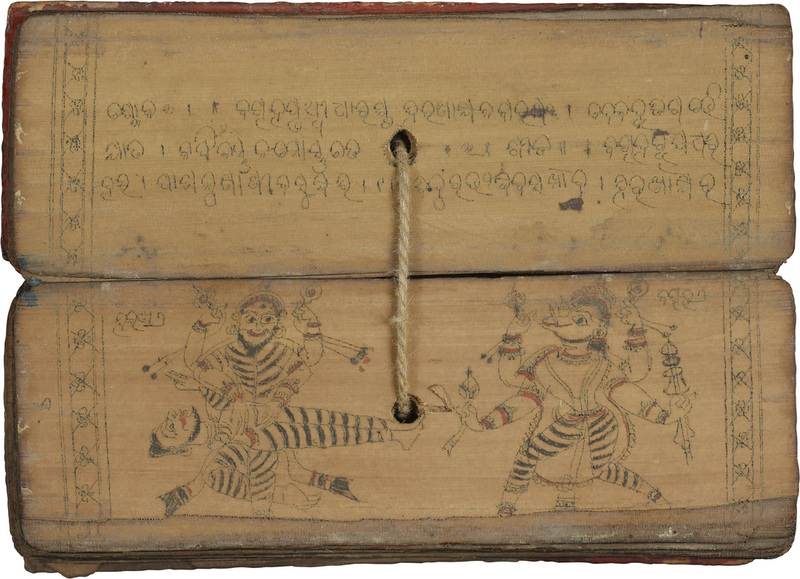 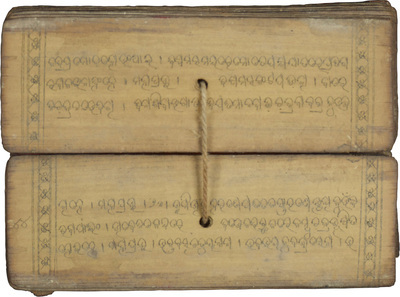 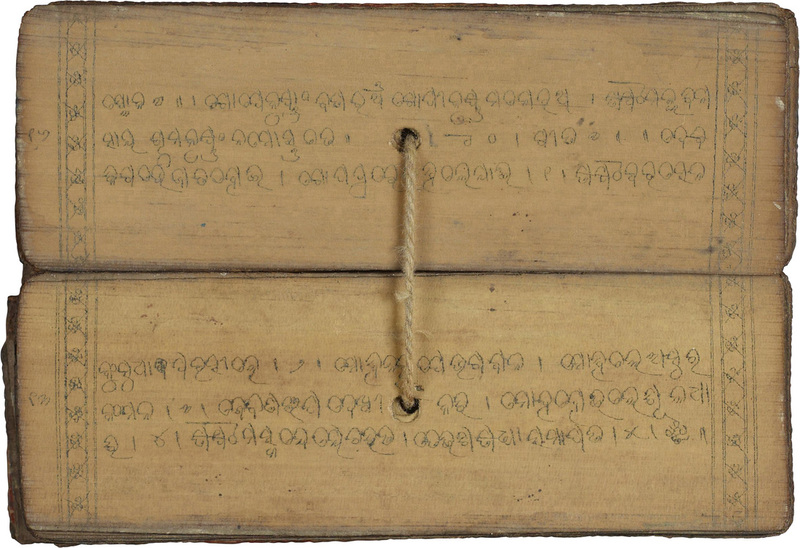 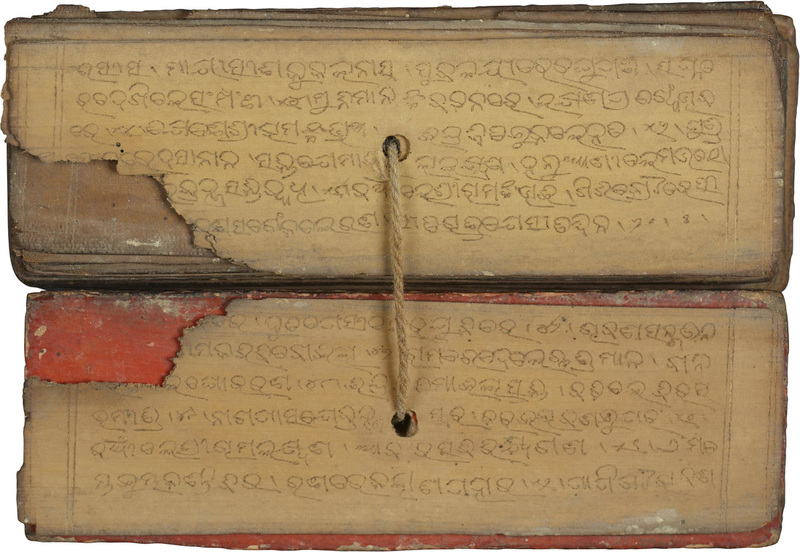 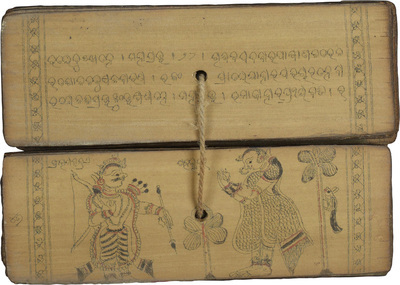 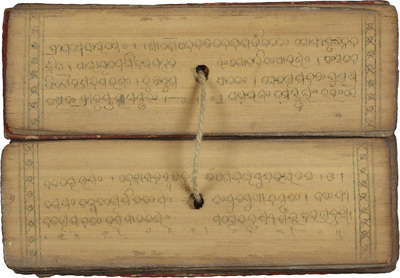 The manuscript is in Sanskrit, written using the Oriya script, suggesting origins in the state of Odisha on the east coast of India. 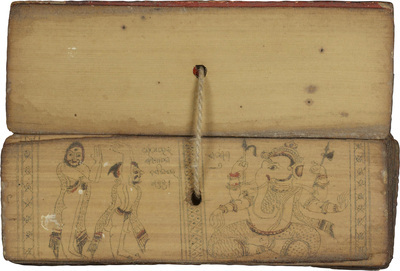 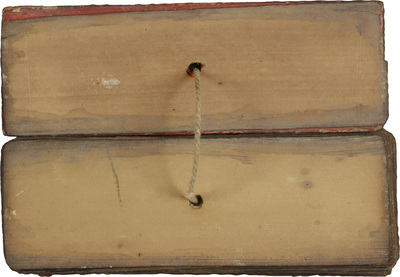 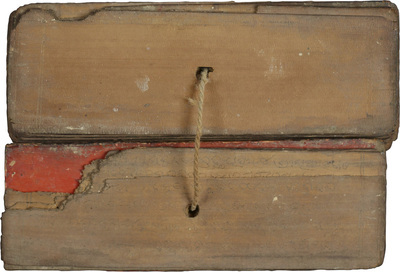 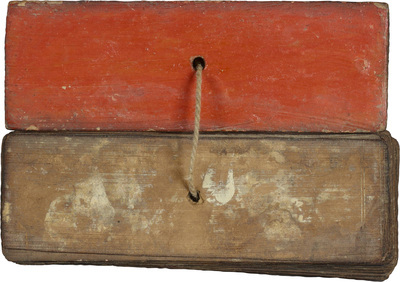 It is currently held by the Rare Book & Manuscript Library of the University of Pennsylvania. 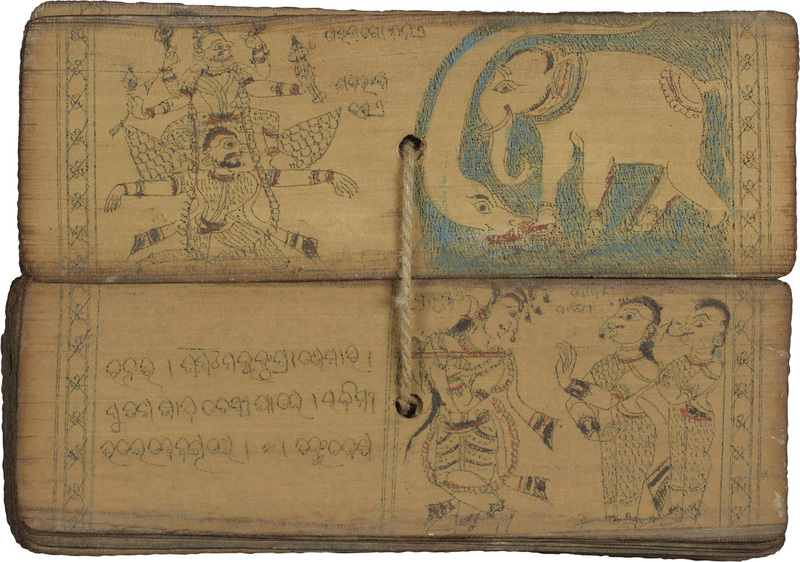 You are welcome to use these images under the terms of ﻿Creative Commons License 2.5﻿. Please credit the University of Pennsylvania and Palatino Press.